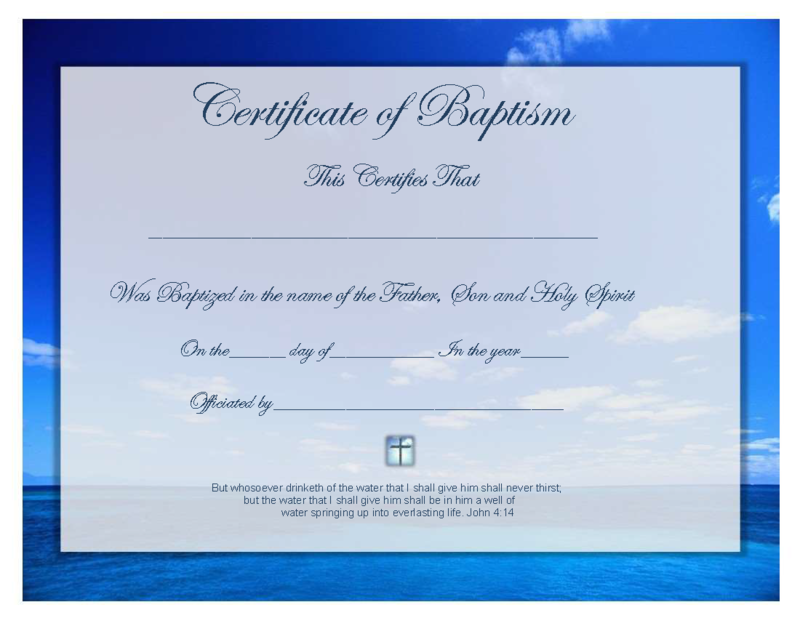 Do you want to make a nice Certificate of Baptism for your son or daughter? Download this Certificate of Baptism template now! This blank Certificate of Baptism is intuitive, ready-to-use and structured in a smart way. Try it now and let this Certificate template inspire you. We think this Certificate of Baptism is just what you were looking for and that it will fit your needs. Download this Certificate of Baptism template now!